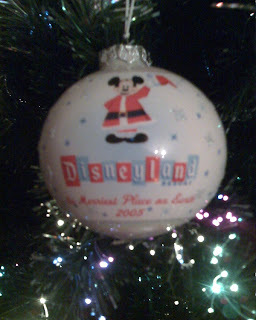 When Patti and I got married, for our first Christmas we started a tradition of collecting a new dated ornaments. I admit at first it seemed insignificant when we would look at our first couple of ornaments, but now we have 11, and they take up a good part of the prelit tree we bought five years ago. 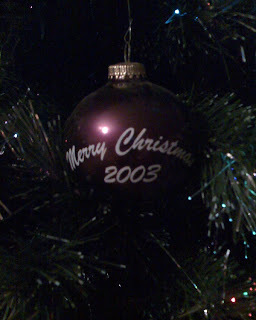 I can look at each one and remember each Christmas, and the warm memories of that Christmas. 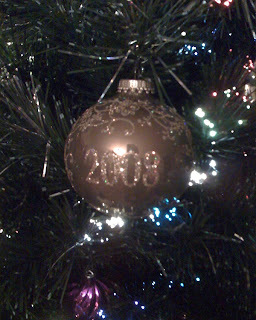 Every year we put the new dated ornament on together. You had to know that at least one of them would be from you know where. 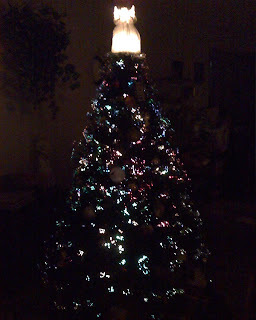 Our 1993 fiber-optic prelit tree. We have an aluminum tree with a changing spotlight in our bedroom. Randy was asking about the taking of pictures on Christmas eve while we unwrap gifts, and how we never print or look at them. So why do we take them? Why would we want to? Right now... Maybe he is right, but in the event of the eventual empty chair at the dinner table, one day the pictures will be priceless. We will treasure each and every one, and be searching for more no matter how insignificant. Recently my aunt was doing that after the passing of my uncle. She was looking desperately for more memories to hold on to. . Inevitably... eventually that is what we will have for a time, memories. For now... I am going to make as many as I can. 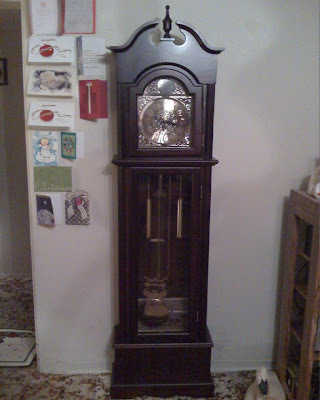 The clock is wonderful but like Treb said family is the best gift ever.